Nike Tennis Classic AC Premium "Clash"
Inspired by a quartet of European soccer boots, Nike Sportswear&apos;s Clash Pack is beginning to make its way to select accounts. Here we get a look at one such drop from the set with the Tennis Classic AC Premium. 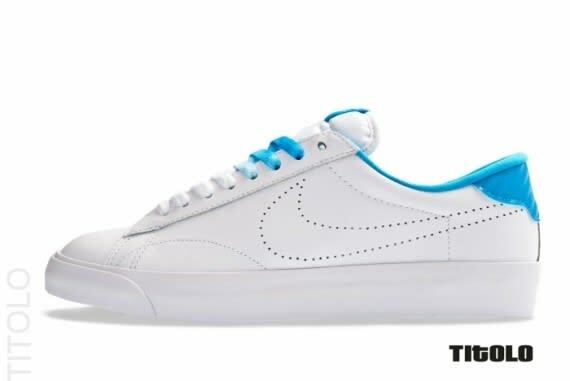 The Swoosh lows note a white leather upper, accented with blue lining, matching the laces, tongue tag, and heel padding accordingly. You can snag the clean kicks now through Titolo.